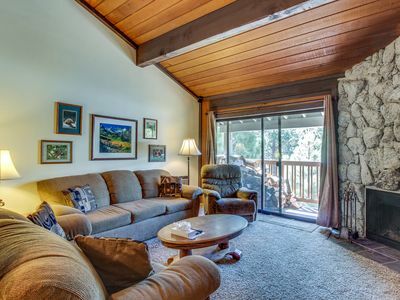 This immaculate 2 bedroom unit is on the third floor of The Grand Sierra Lodge in The Village At Mammoth. 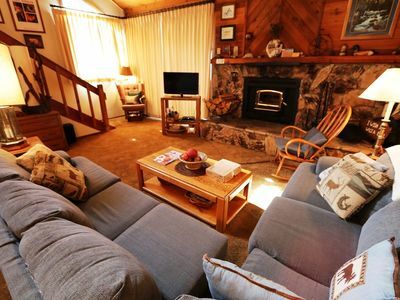 The unit is centrally located for both your winter and summer activities. Beautifully decorated with art and other amenities, it gives a new meaning to the term 'mountain elegance'. 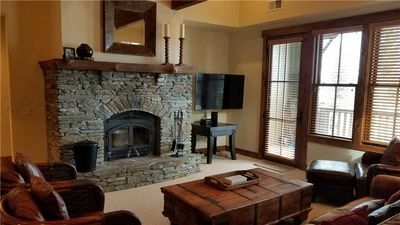 There have been many items added to the unit to give you the feel of being at home instead of being in a normal rental. 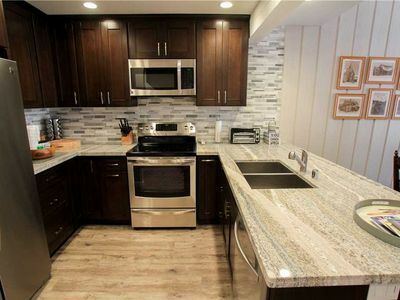 The unit includes a fully equipped kitchen, granite counters, SOUND REDUCTION WINDOWS and a private balcony. (Many people have experienced the noise from the bars at night at The Village. Our unit features windows from SOUNDPROOF WINDOW COMPANY to make your stay a quiet and restful stay. 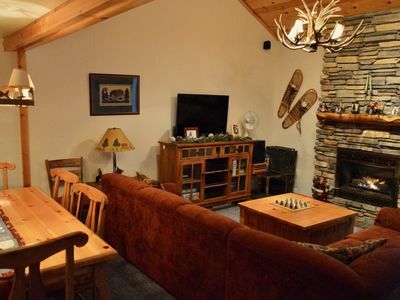 A 6 night rental over Christmas reported no noise from The Village plaza except for the midnight cheer on New Year's Eve. Most rental since Christmas 2009 has reported no noise issues thanks to our new soundproof windows.) 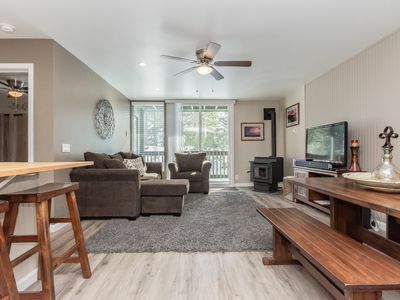 All the other rental units in The Village on VRBO are located near the bars that create the disturbances at nighttime while you are trying to sleep. Their sometimes lower price is accompanied by the late night noise from the bars that will keep you from getting a good night's sleep. 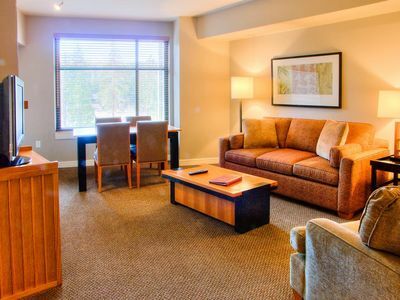 The Village #1301 will make you feel right at home. With sleeping for 6 comfortably (8 with the rollaway beds), this unit has been designed to easily accommodate 1 large family, or 2 families with up to 4 kids. 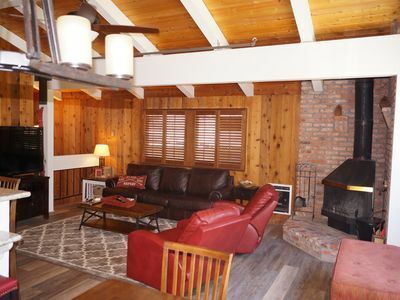 Relax in the evenings with your whole group around the fireplace and a 40” LCD flat screen TV and home theater system, or send the kids off to the bedrooms to enjoy their favorite program on a 37” LCD flat screen TV or a 32'' LCD flat screen. 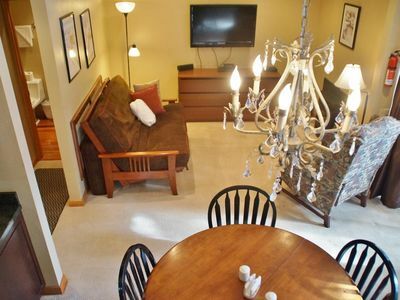 The master suite is beautifully decorated to give you a homey feeling. 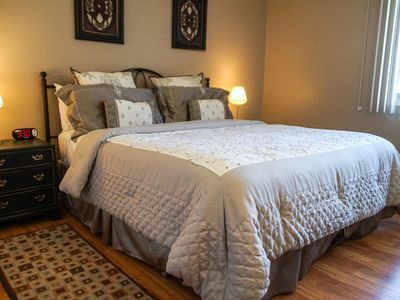 It features a king size bed, wall mounted flat screen TV & DVD player both with remotes, furniture including a full dresser and night stands, handpicked decorations, walk in closet with plenty of hangers, and a spectacular master bathroom that would please anyone's taste. (There is room for one rollaway bed in the master bedroom if desired.) The very spacious master bath features dual sinks, a full shower with frameless glass and a separate full size bathtub. 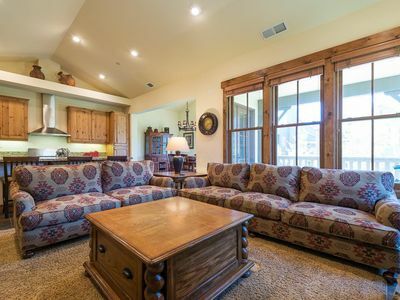 We have added many features to our unit to make your stay even better including flat screen TVs, DVD, home theater, iPOD/ iPHONE docking station, non iPOD MP3 player hookup, board games, cards, kitchen utensils, blender for mixed drinks and artwork for the connoisseur and for those who remember their childhood. At holiday time, we provide a fully decorated Christmas tree and at other times, we try to make our unit unique in other ways so that you come away with a warm feeling that you experienced something special. 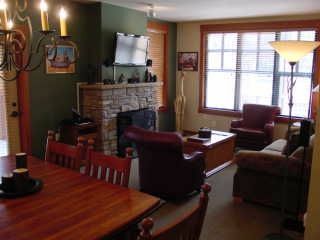 There is no better location in Mammoth for your stay and #1301 is one of the best-equipped units in The Village. 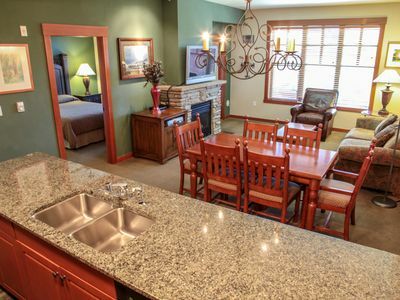 The Village features shops and restaurants to make your stay very comfortable. Just take the elevator down and walk outside to The Village Plaza where you can experience the wide variety of shops, restaurants, art galleries, Starbuck’s, Rocky Mountain Chocolate Factory, Ben & Jerry’s Ice Cream, boutiques, bars and Restaurants. The varieties of restaurants include American, French, BBQ, Mexican and Pizza. To add to your convenience, The Village is the center of all the free transportation in Mammoth. 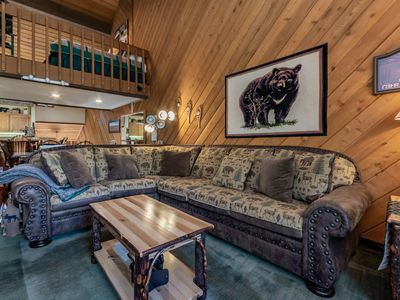 You can take a bus to all ski lodges as well as most other properties in town or walk across the plaza to the gondola which takes you to Canyon Lodge for free where you can purchase your lift tickets, rentals and any other necessities. The Village features a new skiback trail which allows you to ski back to your condo over the new ski bridge. With all these features and the heated underground parking, you never need your vehicle. 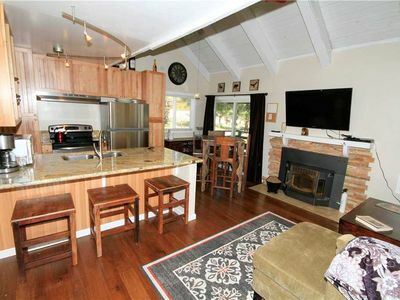 THIS IS A HIGH END RENTAL UNIT AT A MODEST PRICE. 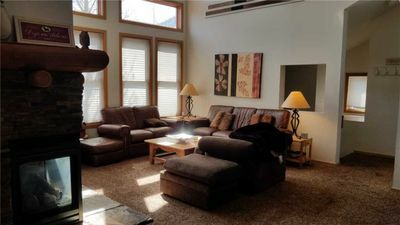 THERE ARE BARGAIN BASEMENT PRICES WHEN RENTALS ARE SCARCE WHICH IS TYPICALLY MIDWEEK AND TOWARDS THE END OF SEASON, HOWEVER, RENTALS ON WEEKENDS, HOLIDAYS AND PRIME SEASON ARE AT MARKET VALUE. UNITS LOCATED NEAR THE VILLAGE ARE NOT THE SAME AS BEING IN THE VILLAGE. Many units on VRBO and other sites charge less money and then claim to be steps away from or in The Village when in fact they are one block to 3 miles away. If you have ever walked anywhere in Mammoth during poor weather conditions, you know that a very short walk will seem like it takes forever. When you are near The Village, you can have an interminable walk during a winter snow storm in which you will pray for your survival long enough to reach The Village and then cringe at the thought of walking back. The extra cost of being in The Village is well worth the convenience. 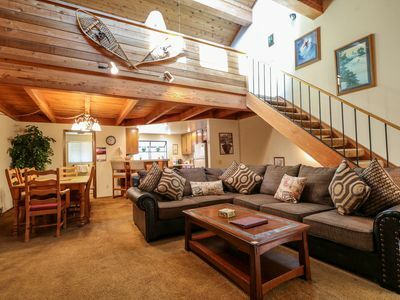 Please see my other VRBO #295202 for a 3 bed/2 ba unit that sleeps up to 8 people at Solstice. 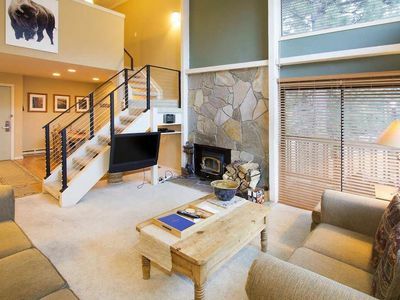 Please see my other VRBO #295742 for a 3 bed + loft/2 ba unit that sleeps up to 10 people at Solstice. 5-Star Luxury In The Heart Of The Village! 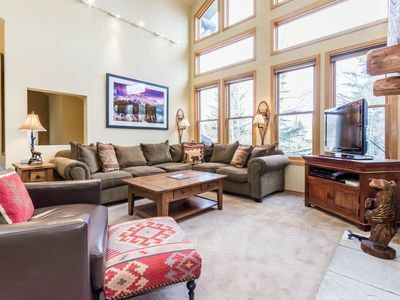 Spacious Condo, Great Complex Amenities, And On The Shuttle Route! 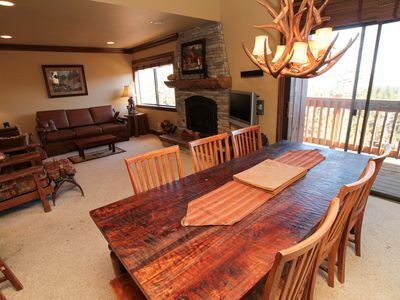 Mammoth Ski and Racquet Club #67, 1 Bedroom + Loft, 2 Full Bathrooms. Offers View! 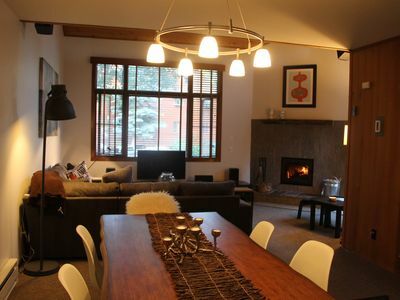 Top floor, 2 Bedroom + Loft, 3 bathroom unit in Snowcreek - Phase V - Sleeps up to 7!